Karl-Heinz Blöcker had already taken the thought »Where there is light, there must be shade too« completely to heart when he met the Dane Sven Persson. 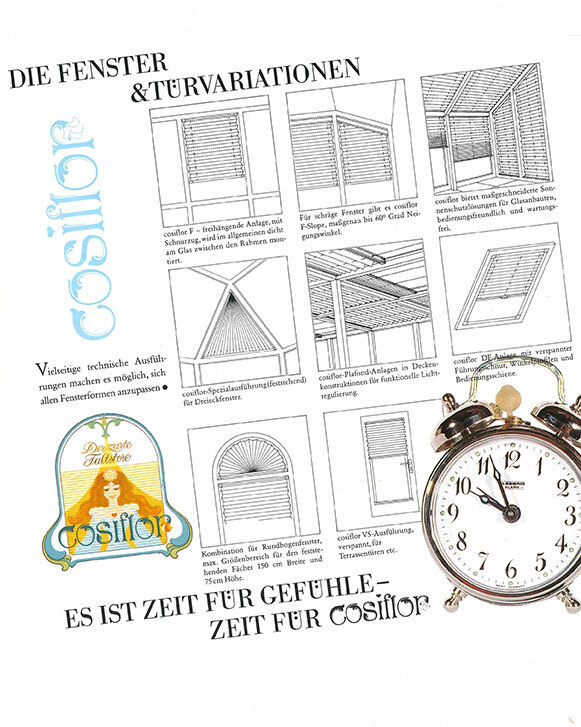 As a manufacturer of wooden shafts for blinds, he gave Blöcker an idea: what the Danes find good as protection from the sun will surely catch on quickly in Germany. Thus in 1947, Karl-Heinz Blöcker took over the company Sven Persson founded in 1926 and changed its name to the import trading company Karl-Heinz Blöcker GmbH & Co. 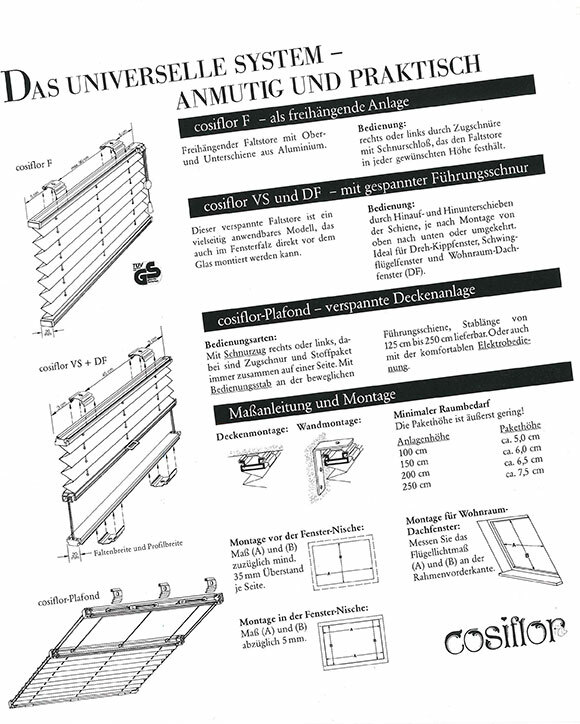 In 1950, it was another impulse from the far north which set the course: the aluminium blinds from the Danish company Faber. Distributing these, the company continued to grow – into a wholesaler and export trader. In the years to come, the new developments from within the company proved a keen sense of modern and innovative products. 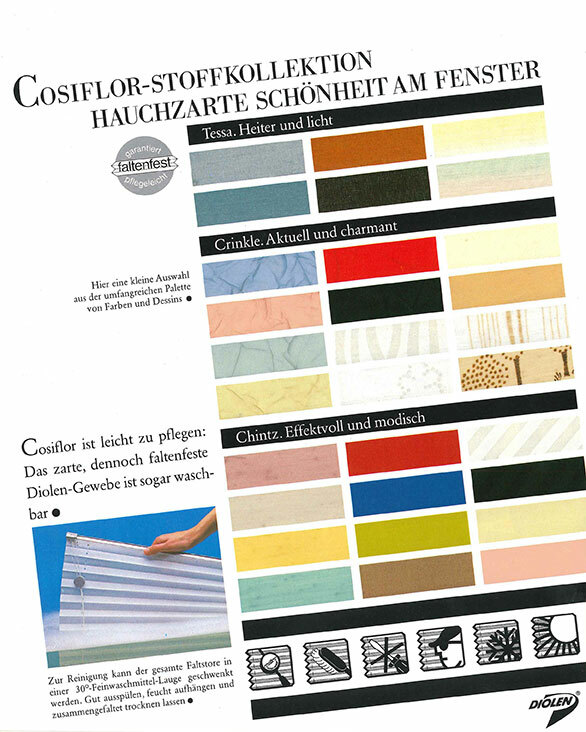 As an innovator in vertical textile blinds, Blöcker established the Solarflor brand internationally over the next few years. 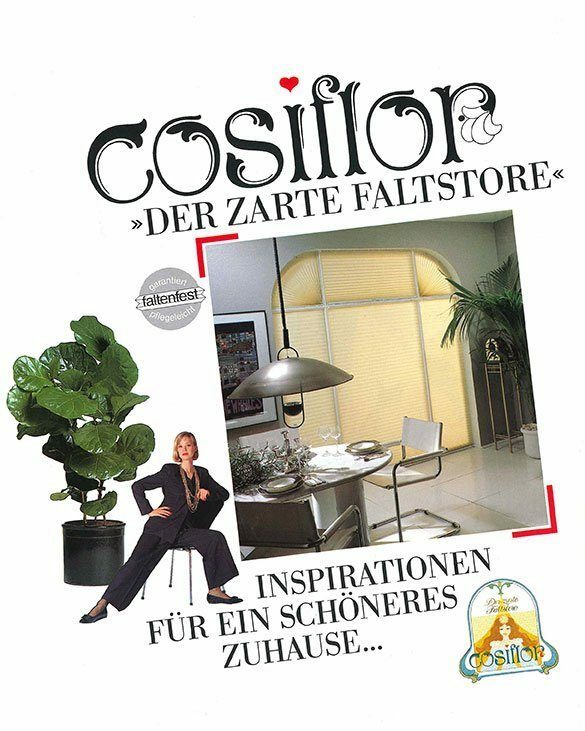 In 1984, the product range was extended by the Cosiflor textile pleated blinds and are now well known way beyond German borders. Exactly 10 years later in 1994, a large-scale fire seriously threatened the company’s existence. The warehouses burnt down completely – resulting in almost 14 million DM worth of damage. This damage was only able to be adjusted quickly thanks to the great commitment of sub-suppliers, employees and customers. In 2005 the company Karl H. Blöcker GmbH & Co was sold to Hunter Douglas, and has since been operating under the name Blöcker ZNL der Hunter Douglas Holding GmbH & Co. KG. Harald Reichow continued for another 2 years as managing director and left the company at the end of 2006. Since then, Rainer Sawitzki has been steering and managing the company’s success. The Duoflor double roller blinds were launched in 2006 and are still extremely popular. While originally there was one range available in 6 colours, we are now talking about more than 20 collections with more than 150 fabric positions in total. The most recent product, Triflor roller venetian blinds, is also making a big name for itself on the market. Today, the services provided by Blöcker and its employees stand for top quality on a global scale. A characteristic considered timeless all over the world.